Site Launch System Bonus – The Business By Mouse Way! 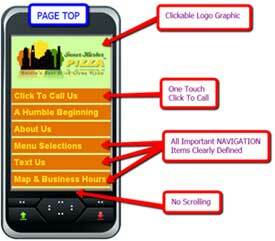 Businessbymouse.com is a Local Mobile Search Company, in business for 10 years, located in Baltimore, Maryland. We help small businesses establish themselves in the local marketplace utilizing a specific launch formula of mobile and traditional websites and local search engine rankings. There’s no doubt that a “Free iPad” is an attractive site launch system bonus. We can give those out as bonuses too, however, as it sits on your desk gathering dust, or is shuffled around in your briefcase with your lunch, or worse, stays in the box waiting until that day you finally have some “free time” to check it out, how exactly is it building your business? Answer “YES” to these 5 questions only if it’s how you intend to use the iPad. Will be used to Brand your local business online and off. Now, substitute any other bonus you are considering and do the same. We don’t need to tell you what a serious business person will conclude. We don’t give out give out “cute” bonuses. We give bonuses that are meaningful and will definitely grow a person’s business with minimal effort on their part. You are not going to have to read 20 eBooks or learn HTML and CSS. You won’t even have to know what a Shortcode is, or a WordPress Plugin or anything like that. If you are in the restaurant business, you may want to bring more customers in from your local zip code on Wednesdays, your hump day. No problem. If the answer is “YES”, keep reading. If it’s “NO”, then we appreciate the time you spent here with us, but we know for a fact that our bonus will not please you. The Businessbymouse.com Launch Formula Bonus. A Site Launch System Bonus With Meaning. Since 2000, we cannot tell you the number of times we’ve invested in various products with “Rap Sheets” that are 3 feet long. (We call the sales letters with endless bonuses and testimonials, Rap Sheets). We know that you’ve seen them. You’ve probably bought some of the same products we did. How many of those bonuses were actually related and, more importantly, useful to us? One or two. That’s it. In our honest opinion, they actually seemed to diminish the actual product. We like to call this the “Cheesy Effect”. We’re offering something different today. Our Site Launch System Bonus is practical and highly relevant in today’s business environment. The kicker is, everyone can use it in their business or personal life. It comes in two parts. Our Site Launch Bonus Killer! 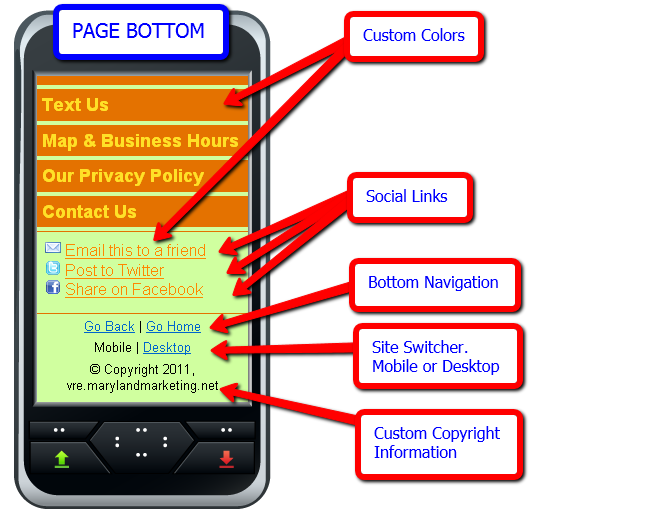 Buy Site Launch System through our link and we will reward you with a completely hosted, custom designed Mobile Website, just like the one in the graphic to the left. 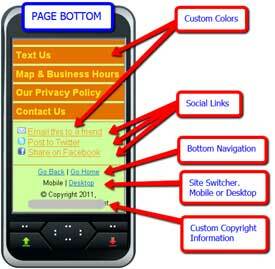 You receive the Standard Mobile Website Package* we sell. The SMS Marketing Package is brand new and has not been released to the public as of today. This website is yours for ONE FULL YEAR! Fully hosted, customizable, and ready to begin sending your business local leads. All you do is supply the content and graphics and we do the rest. Includes 12 months hosting and much more! You are going to receive a ONE YEAR SUBSCRIPTION to our Brand New Service, The SMS Bounce Ad System. A “BOUNCE AD” is a customizable Advertising Text Message that U.S mobile phone companies “bounce back” to cell phone users whenever they text a valid DOMAIN NAME and an advertising KEYWORD to a designated Short Code number. Customizable means that that text message can be anything you like, a coupon, a prize, whatever, you get to decide. You get UNLIMITED Bounce Back Advertising Service for ONE FULL YEAR. As a business person, you can estimate the value of this service to your business. If you were going to buy it from us, there would be a setup fee of $195, as well as a monthly service fee of $49. How much is our Site Launch Bonus worth to you? Don’t believe us? Here’s our proof. We currently sell this package on our website. Check it out here, Mobile Design. We are confident that, with the Site Launch System Home Study Course and Our Launch Formula Bonus package in tow, you will be a step ahead of all of your competitors who opted to get a “free iPad” instead. How To Use This SLS Bonus. Don’t know how to use this for your business? 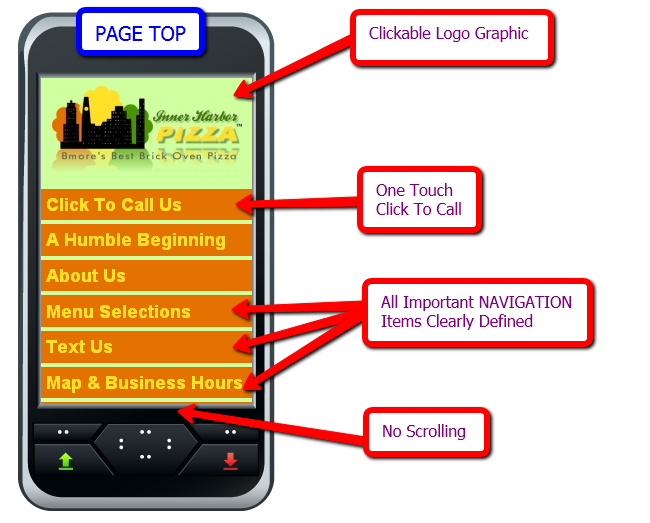 Visit this page, Mobile Website Development, for more information and ideas, . Hint, think Google and Local Search Lead Generation! Click on either of the blue “Buy Site Launch System” buttons on this page and you’ll be taken to Raam’s Site where the purchase can be made. It comes with a full 30-DAY MONEY BACK GUARANTEE! *Mobile site & SMS Marketing password will not be activated UNTIL the 31st day after purchase. Unfortunately, it does cost us to activate them and if the product is returned for a full refund, it does us no good to simply turn the services off. The good news is you have a full 30 days to get your content, graphics and SMS Marketing plans together. To receive proper credit, you must clear all cookies from your browser before purchasing from our link. We cannot give credit if we are not credited. This entry was posted in Business Marketing and tagged Affiliate marketing, home study course, Internet marketing, internet marketing training, Marketing, Marketing and Advertising, marketing consulting, marketing ideas, Search engine optimization, site launch system, site launch system bonus, Site launch system review, Web Design and Development, web site promotion, website marketing on 02/15/2011 by MikeL. We’ve said it before and this article will confirm it, “Post something on the internet and it will be archived FOREVER, whether you like it or not! Here’s a case in point. Google Places has a provision where a home-based small business can still put up a Places page just as a bricks and mortar business would, with the “option” to have their actual address shielded. Going on the premise stated in the first sentence, we’ve always advised friends, family and clients NOT to put anything on the Internet that they may regret in the future. That goes for videos, pictures and other graphics and of course personal information like addresses, telephone numbers etc. Is there a basis for this? Read the article and don’t be shocked. Last March, Google introduced the ability to hide the address for at home and service businesses that do not want clients driving to their locations. At the time, the feature, while useful, also managed to hide your business listing deep in the index. With the rollout of Places Search in October, the feature became more useful as your listing would now show on the new local organic blended results (although still not in the traditional 7-Pack). Have a comment about this? Let us know through our contact page (private comments) or say it below for all to see. This entry was posted in Search Marketing and tagged Business, Google Places, home business address, internet posting, Search engine optimization, Search Engines on 02/12/2011 by MikeL.